Screen Time- How much is too much? In the 1960’s after a long day of school and work families would come home unwind over dinner and talk about their day. The kids would go outside to play weather permitting or play a game inside, listen to the radio or read before going to bed. Fast forward to 2017 after a long day of school/daycare or work families are rushing to figure out what to feed the kids for dinner. We turn on the TV or hand our children their tablet and let them distract themselves. How about the car ride to school or the store? …. We give them distractions to keep them occupied. What happened to talking, or listening to music, or just looking out the window in the car. We constantly have the need to fill our time with something (adults included). Children who aren’t allowed to experience boredom or are constantly entertained with electronics continue to feel that need as they get older and become adults. Like other addictions it becomes harder and harder to fill that need. It’s important for children to learn to be comfortable with quiet. It allows them time to think, be creative, use their hands, read, ect. We all lead busy, hectic lives and I struggle as a parent trying to find ways to keep my children occupied while getting dinner on the table and raise well rounded kids in the age of the electronics. Multiple studies have shown that adolescents who spend larger amounts of time on social media or who are more “emotionally invested” in social media have higher rates of anxiety and depression. Look at your children’s’ news feed or your own for that matter. We are bombarded with constant images of how great everyone else’s lives seem to be or conversely by the tragedy and violence in the news. This can have long lasting impact on a developing brain. People are less filtered on social media and are more likely to make negative comments about others. Cyberbullying occurs more often than we realize and continues after school hours. This form of constant viscous bullying can have serious, even deadly consequences. Our teens are comparing their lives to their peers and can develop the feeling that their own life is not quite good enough. Body image issues can arise from constantly seeing photo-shopped revealing pictures of men and women in the media. We are also finding that children have more difficulty with social skills because they have gotten accustomed to texting friends and less in person or verbal interactions. Teens also have less restful sleep from alerts on their phone which they often will respond to in the middle of the night The Internet also can be a gateway for risky behaviors. Monitor what your child is seeing and reading on the internet. Technology keeps us connected in ways that weren’t possible before, but more disconnected in many ways. There are many great things about the internet such as having access to unlimited information and the ability to connect with people across the world. The internet and social media are a tool, but it can become an obsession or an addiction that has an impact on our mental health. Our children need us to be present in their lives. They notice when you are distracted by your phone and not focusing on them and they begin to model that behavior themselves. Create a “phone and screen free time” for your family. Establish at least one hour where no one picks up the phone or turns on the screen. Remove TVs and phones from the bedroom at night. Turn of the background noise TV and allow there to be silence, or music, or talking especially at dinner time. If you have any questions on this subject, always feel free to call us at the office at 847-398-0400. 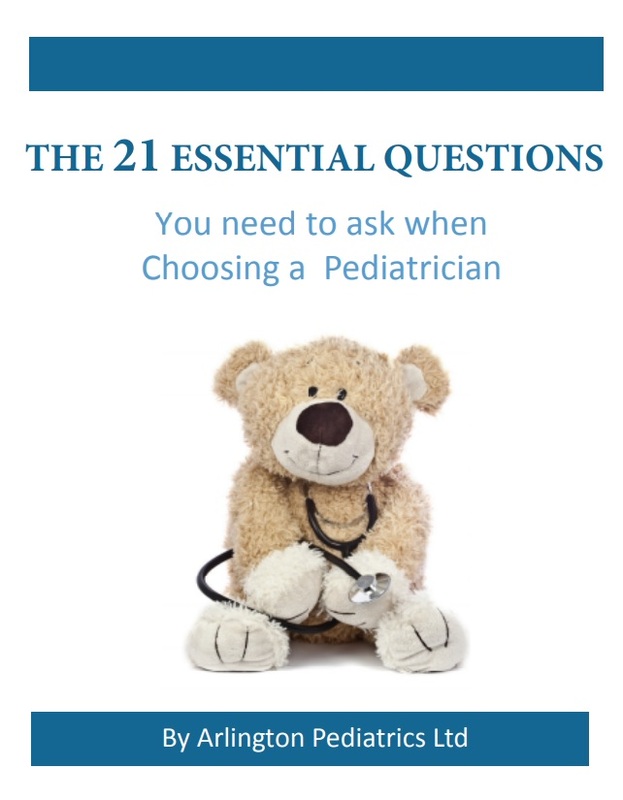 Grab your FREE Guide, "The 21 Essential Questions You Need to Ask When Choosing a Pediatrician" and also receive our monthly e-newsletter. APL provides a number of FREE classes, paid classes and support groups for its patient families. Click here for the most recent schedule of events.